Mark takes a definitively proactive approach to financial services. His commitment is to identify the most cost effective investment and planning strategies for each client. To accomplish this, Mark is both a student of the changing industry as well as someone who is constantly in touch with his clients’ changing goals and needs. It is through building strong relationships based on trust and professionalism that the best solutions can be identified and implemented for clients. 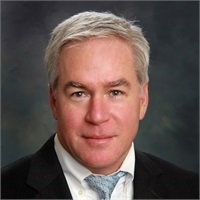 Along with his role as Managing Partner and Co-Founder of Nabell Winslow Investments, Mark is President of Partners Square Consulting, an advanced markets consulting firm. Mark has a specific knowledge of retirement income planning and advanced planning strategies. For more than 20 years, Mark has been serving clients in the financial services industry at banks and institutions. Mark has years of executive experience at a national award winning broker-dealer. His extensive experience includes coordinating and implementing insurance, trust, brokerage, financial planning, and wealth management programs into streamlined, deliverable processes.He received a Bachelor’s degree in Industrial Engineering from Georgia Institute of Technology. Mark holds the Series 7, 24, 53, 63, 65 securities registrations and has Life, Accident and Health insurance licenses. A competitive swimmer in college, Mark is active today with surfing, hunting and fishing and is a member of Christ Community Church. Mark has been married to Cheryl Simms Nabell for over 30 years and they have three children, Grant, Rett, and Claire.